Their report helps explain why heart disease is the leading cause of death among “the bravest,” as they’re known. In the United States, heart disease accounts for nearly half of annual on-duty firefighter fatalities, most of them from heart attack, said Dr. Nicholas Mills, lead researcher on the study. Mills is chair of cardiology at the University of Edinburgh. In simulated fire exercises, the investigators sought to quantify the physiological changes firefighters undergo as they rescue a victim from a scorching building. The study results highlight the unique stress to the cardiovascular system that firefighters face, said Dr. Stefanos Kales, an associate professor at Harvard Medical School. The findings should encourage medical practitioners to pay closer attention to this group’s unique needs, added Kales, who wrote an editorial about the study. Both appear in the April 4 issue of Circulation. This might include keeping firefighters with signs of existing heart disease from participating in strenuous emergency duties, Kales noted. “Firefighting is uniquely dangerous for obvious reasons and more stressful on the heart. First, there is a large adrenaline surge in response to the emergency response that begins to raise heart rate and blood pressure,” Kales said. “The firefighter [unlike most athletes] wears 40 to 50 pounds of gear, which increase the workload and also encapsulates the firefighter, impairing all usual means of dissipating heat,” he added. Additionally, there’s extraordinarily high heat and smoke-related toxins, Kales said. Mills and his team studied 17 healthy members of the Scottish Fire and Rescue Service who participated in two fire simulation exercises a week apart. The participants attempted to retrieve a mock victim weighing approximately 175 pounds while exposed to temperatures approaching 750 degrees Fahrenheit. The researchers monitored each firefighter’s heart rate and blood pressure for 30 minutes before the exercises and for 24 hours following the drill. The findings showed that many were prone to a reduction in blood pressure and an increase in blood clotting. Mills concluded that these changes are most likely due to dehydration and an increase in blood diverted to the skin to help the body cool down. The study authors suggested that some of these health risks can be reduced inexpensively with limited heat exposure, cooling and rehydration. 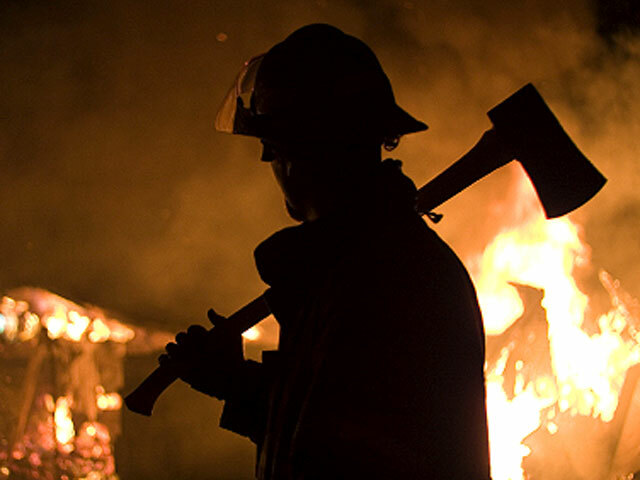 “The combination of extreme physical exertion and heat is unique to firefighters, so the findings are not directly applicable to the public,” Mills added. However, the combination of heavy physical exertion, soaring heat and air pollution can present an increased risk in everyday life, he said. “As such, we recommend that anyone who is exercising in high ambient temperatures should take regular breaks, keep well hydrated and allow time to cool down afterwards,” Mills said.